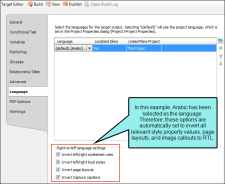 Flare supports authoring and output for left-to-right (LTR) as well as right-to-left (RTL) languages. This includes English, French, German, Japanese, Chinese, Arabic, Persian, Hebrew, multi-byte languages, and more. Flare supports bi-directional languages not only at the topic level, but all the way down to the paragraph and sentence level. If you have a sentence containing both LTR and RTL languages, Flare will treat each of them appropriately in that sentence. Broadly speaking, selecting a language can mean a couple of different things. First, it can mean specifying a language for the content that you are producing. However, it can also mean choosing a language for the Flare interface as you do your work. See Selecting a Language. Full authoring of LTR and RTL text is supported in Flare's XML Editor. The XML Editor supports the following related to RTL. RTL text is readable and can be edited in the XML Editor. Flare supports CSS and HTML direction properties (e.g., "direction: rtl" and dir="rtl"). If these properties are set to "right," the following occur. Tables flow from the right to left (i.e., cell 1 is at the top right, cell 2 is to the left of it). List item bullets and numbers are to the right of their content instead of left. 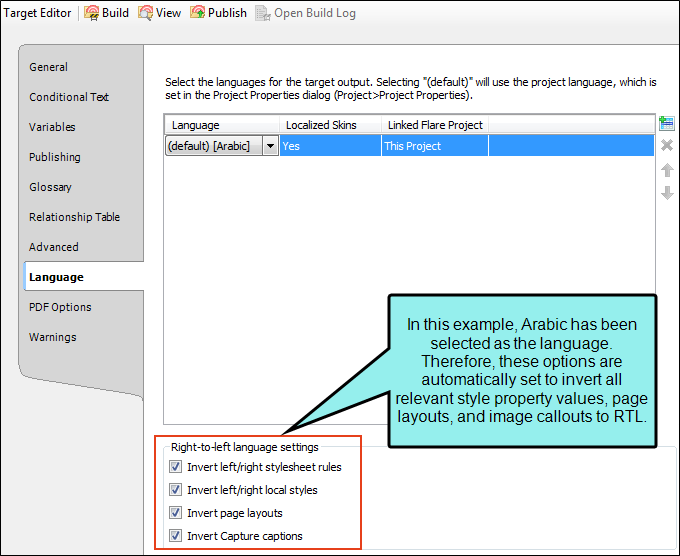 If an RTL language has been selected for the project or topic, the default direction for content is right-to-left. On the other hand, if an LTR language is selected, the default direction is left-to-right. A language skin can be used to display the interface in a specific language for online outputs. Language skins hold only text used for the output; they do not control the look of the output. To control the appearance of the output, you must use a regular skin in addition to the language skin. See About Language Skins. 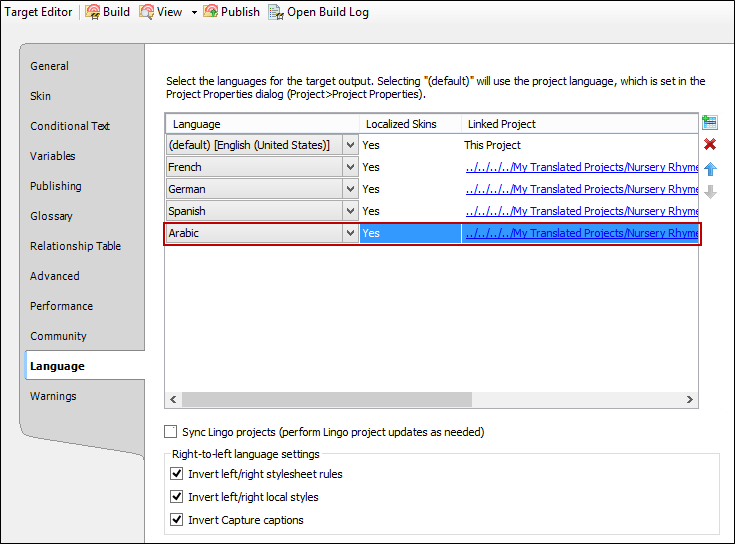 The language set at the project or target level affects the skin used for the output if you are generating WebHelp outputs. Flare provides completed language skins for certain languages, such as French, German, Spanish, and more. You can customize these language skins with your own translations, as well. For other languages, you can create language skins. 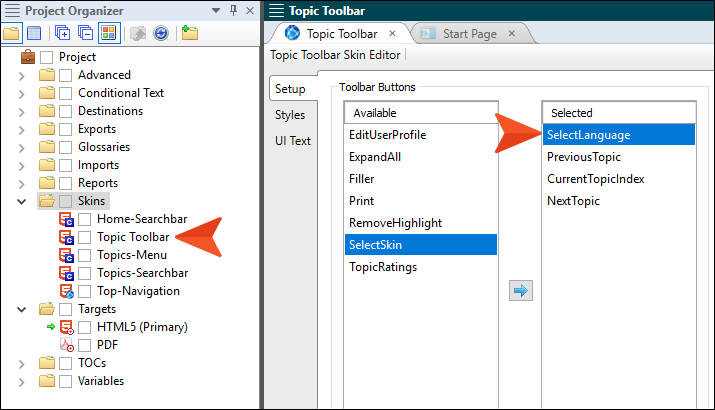 See Creating User-defined Language Skins and Editing Language Skins. Let's say you select French as the project language. If you generate HTML5 Tripane, the French skin is automatically used, so the output looks something like this. 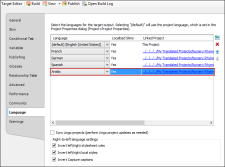 If you have translated your project into other languages, you can link Lingo projects or additional translated Flare projects to your master project to create multilingual output (see How to Select Languages for a Specific Target). When you build the target, Flare will included translated content from each linked project. 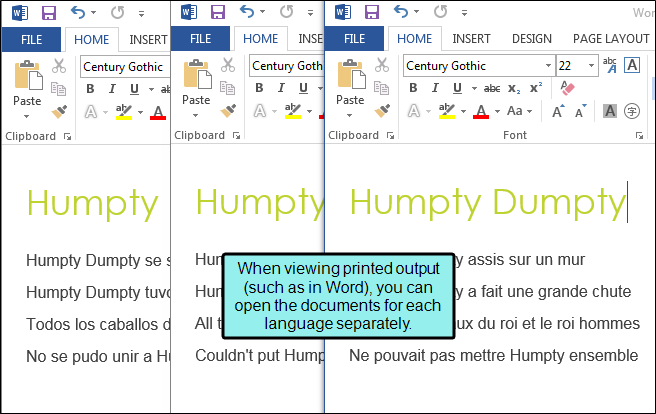 Note: Generating a PDF output using a multilingual target uses the same process as PDF stitching (see Stitching PDFs). However, creating a multilingual target automates the process and allows you to work from multiple Flare projects at once. Additionally, because you do not need to generate each PDF separately every time the document is updated, generating output from a multilingual PDF target saves considerable time. 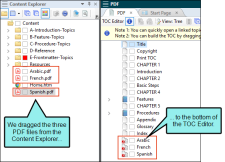 See How to Select Languages for a Specific Target. 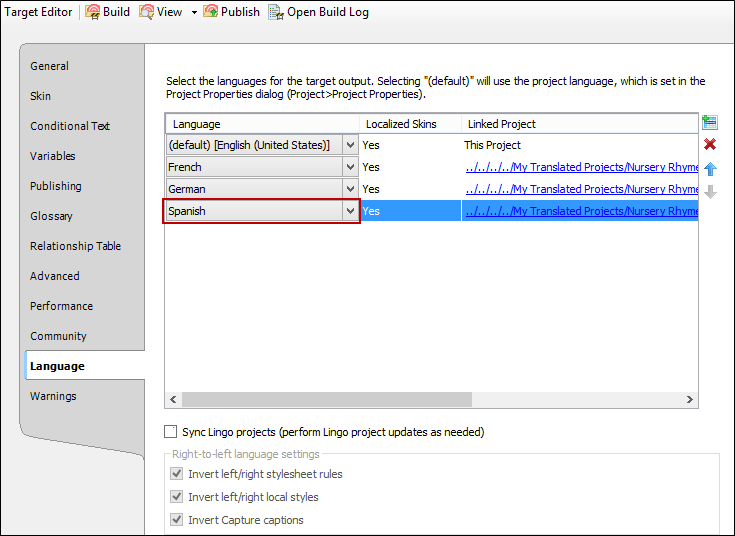 In the Language tab for the target there are multiple options that are selected by default when you choose an RTL language at the project or target level. The options are used to automatically invert the following: (1) language-related style rules locally, (2) language-related style rules in the stylesheet, (3) image callouts from MadCap Capture, and (4) page layout settings. See Selecting a Language. 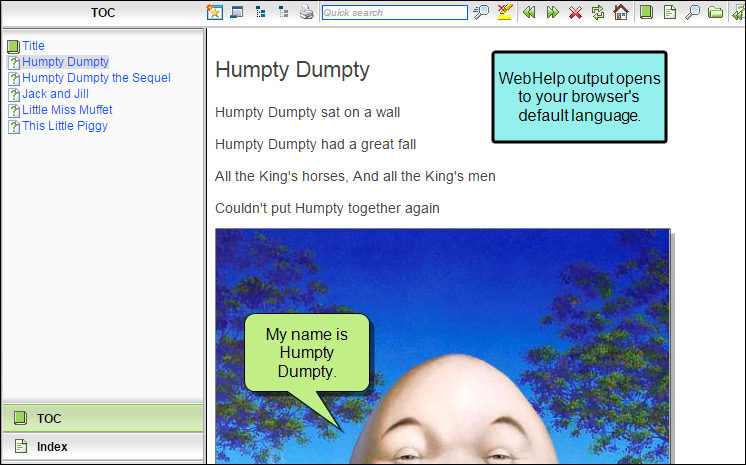 HTML5/HTML Help/EPUB/WebHelp/WebHelp Plus Local styles, CSS styles, and image callout options are shown. There are certain features in Flare that use special hotspot images (e.g., drop-down and expanding text effects). Flare's default images for these features are designed to work with LTR outputs. However, if you are using an RTL language, Flare automatically inverts the default images so that they make sense for that direction as well. This inversion occurs in any of the following features that use hotspot images. Drop-Down Text For more information, see Editing Drop-Down Text. Expanding Text For more information, see Editing Expanding Text. Togglers For more information, see Editing Togglers. Concept Links For more information, see Editing Concept Links. Keyword Links For more information, see Editing Keyword Links. Related Topics For more information, see Editing Related Topics Links. Shortcuts For more information, see Editing Shortcut Controls. This is also done in HTML5 skins and Standard skins for any items that use images where background settings can be specified. See HTML5 Skin Styles and Standard Skin Styles. Note: Custom images that you create and add are not inverted. If you want to have inverted versions of an image, you need to use two different skins—one for the LTR images and a second for the RTL images. If you are using an RTL language, table styles in your project need to write additional CSS rules behind the scenes in order to work correctly with RTL tables. Because this can potentially double the size of the table style file, this behavior does not happen by default if you create and save a new table style. However, the behavior kicks in automatically in the following two scenarios. Several languages come with built-in spell checking support in Flare. You can see which dictionaries are installed on your computer by opening the Options dialog (File > Options) and selecting the Spelling tab. See Options Dialog. You can download more dictionaries from openoffice.org. After you download a new dictionary, you can install it by clicking Import Dictionaries at the bottom of the Options dialog (File > Options) in Flare. See Importing Dictionaries. Note: For more information about hyphenation patterns in different languages, see http://hunspell.sourceforge.net/tb87nemeth.pdf. 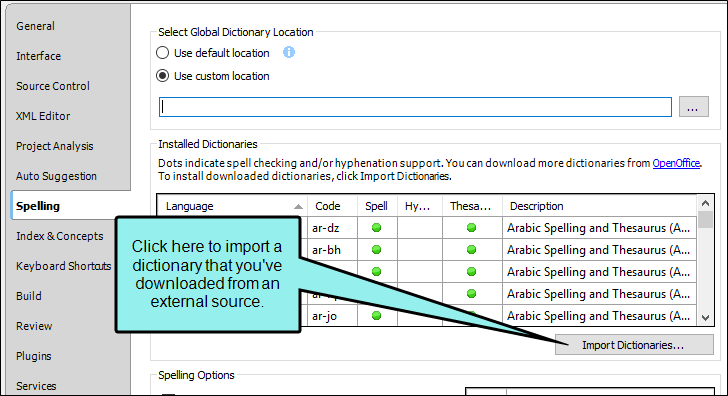 Note: Dictionaries are stored in your AppData Windows folder. After completing a project in one language, you might need to have it translated into another language. MadCap Lingo One of the easiest ways to translate a Flare project is for a translator to open that project within MadCap Lingo, which is tightly integrated with Flare. Because of this integration, there is no need to transfer localized files outside of the actual project, which helps prevent content and formatting corruption. In addition, translators can leverage all previous translations created in other tools by importing Translation Memory eXchange (TMX) files. 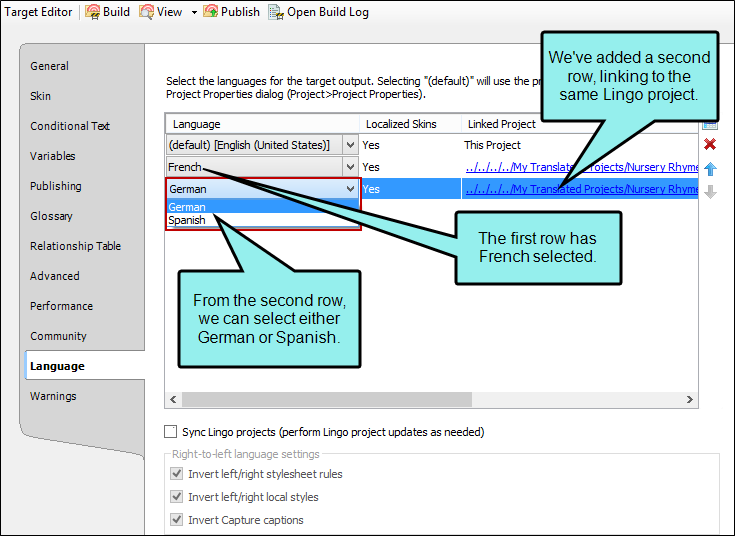 After opening your project in Lingo, a translator can immediately see a list of all of the files (e.g., topics, snippets, variables), index markers, and concept markers than need to be localized. Then, after translating the content in the Lingo interface, the translator can export the results to a new Flare project in that language. For more information, please refer to the documentation provided with MadCap Lingo. Third-Party Translation Tools Each file in a Flare project is XML-based and accessible in third-party tools. 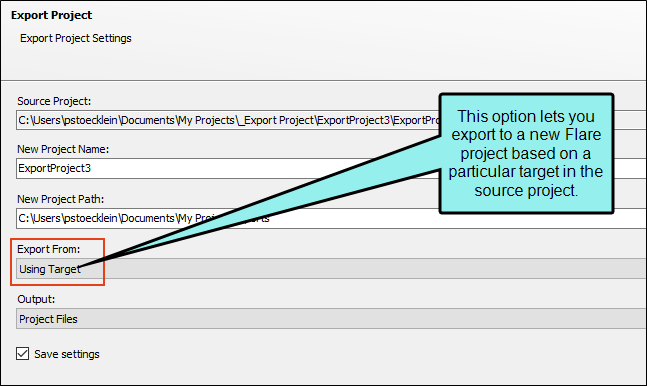 You can even use MadCap Lingo to package your project files and send them to a translator who is using another tool. That way, the translator receives all of the files requiring translation. It makes things easier for translators, who receive a complete list of files that they can import into the third-party tool; no guessing is required. It also makes things easier for you as the author, because you do not need to worry about forgetting to send often-missed Flare project files that require translation and can easily be overlooked. For more information, please refer to the documentation provided with MadCap Lingo. You can publish directly in different languages to Salesforce®. The list of available languages depends on the organization, but below you can see all the languages that Salesforce® currently supports and their Flare equivalents. 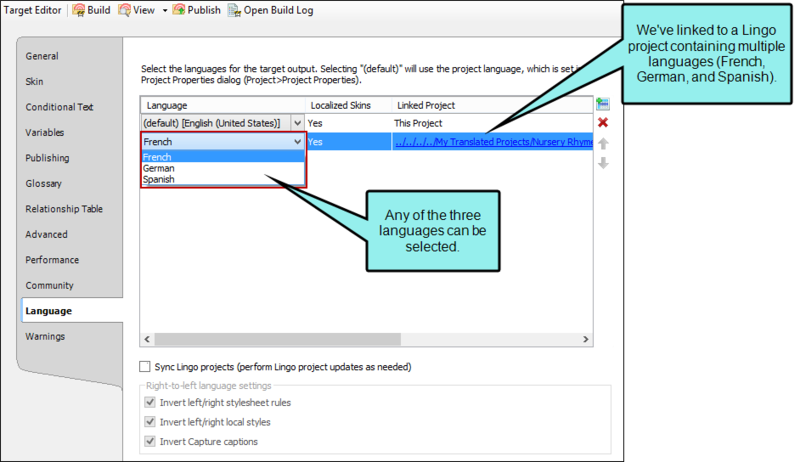 If you publish a project in an unsupported language, the articles will default to the organization’s default language. 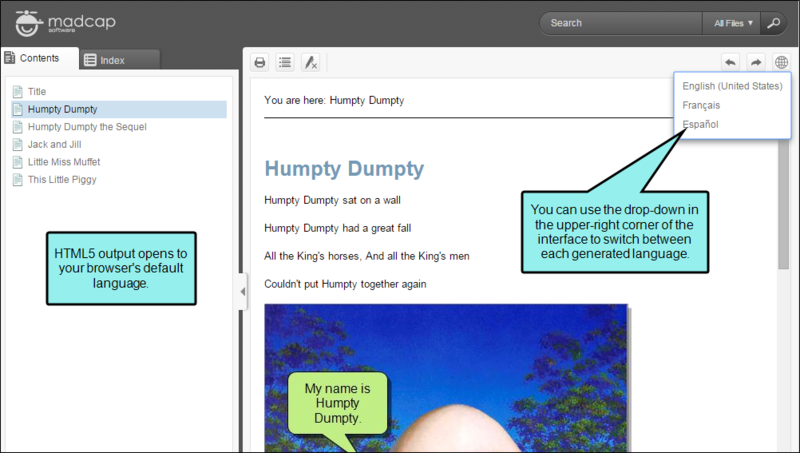 See Creating Publishing Destinations for more information on publishing directly to Salesforce®. Zendesk offers multilingual support for articles published to their Help Center dashboard. If you publish your project in an unsupported language, the articles will be published in the default language set in your Zendesk Help Center dashboard. You can publish your output to Zendesk in the following languages supported by Flare. Click the drop-down in the Language field and select the language you wish to use in your output. After you publish your output to Zendesk, go to your Zendesk Help Center dashboard. Go to your account settings in Zendesk. In the Zendesk account settings, click the Localization tab. 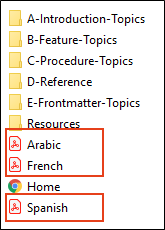 In the Languages section, click the drop-down arrow to select another language. In Zendesk Help Center, click Guide settings. 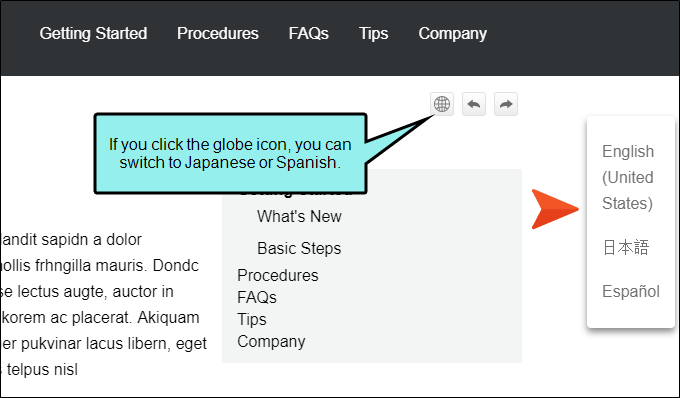 Click the drop-down arrow in the Language section to apply the language to be used for your Zendesk dashboard. In the upper-right corner, click Update. Note: For each language used to publish your project, you need to set up the default categories and sections for each language in Zendesk. You can export an entire Flare project, or parts of one, to another location. One reason you might want to use this feature is to quickly and easily archive projects, especially if you have an extremely large Flare project and need to archive only parts of it. Another use for this feature is translation. If you only need a portion of a master project to be translated, you don't want to send the translator all of the files, but rather a smaller version of the project containing only the files requiring translation. See Exporting Projects. Let's say you have a Flare project with seven targets you need to translate the content associated one of those targets from English to French. You could send your entire Flare project to the translator, but that would mean the translator would be getting files associated with all seven targets, not just the one requiring translation. So you decide to export only the portion of the Flare project that needs to be translated. First, from the Project ribbon you click Export Project. On the first page of the wizard, you click in the Export From drop-down and select Using Target. On the next page of the wizard, you select the target whose files you want to export. In this case, let's say the target in question is named "Product1_Web Output." 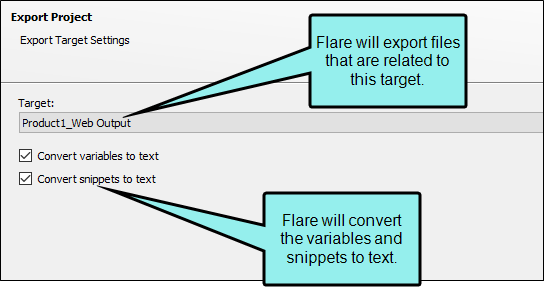 In addition, you tell Flare to convert your variables and snippets to text so that they become part of the topics, rather than separate files. After clicking Finish, the relevant files and content are exported to a new, smaller Flare project. Only the files and content necessary to produce the Product1_Web Output target are included in the export. Therefore, the translator receives only the files requiring translation. 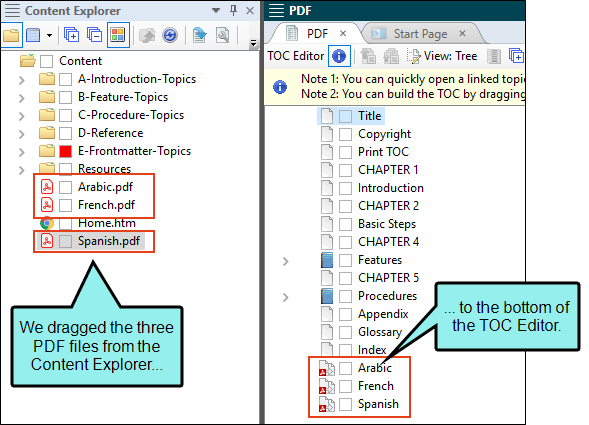 You can stitch existing PDFs into your output by adding links to them in a table of contents (TOC). This is supported in PDF output and all of the online targets. See Stitching PDFs. 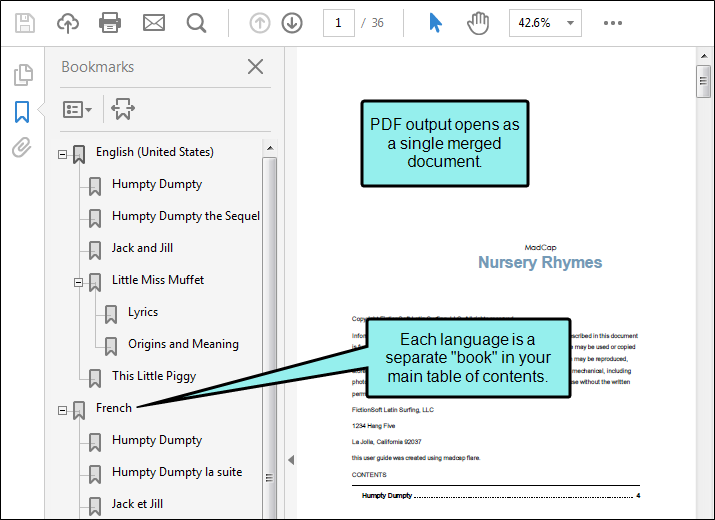 The PDF stitching feature can be especially useful if you have created multiple PDF versions of your documentation in different languages. 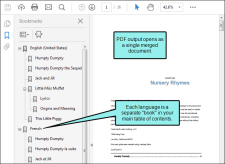 Each existing PDF could be a version of the content in a unique language. Let's say you have an English project, which you send away to be translated into Arabic, French, and Spanish. 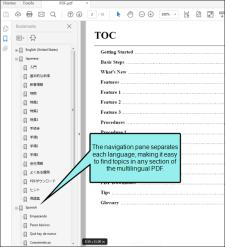 At the end of the translation process, you've got three PDF files, one for each of those languages. 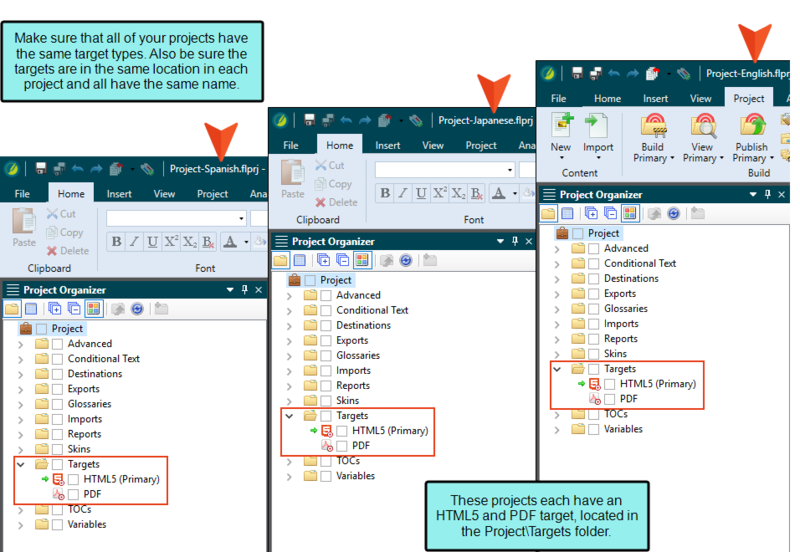 In Windows, you copy those three PDFs into the Content subfolder where your project is located. 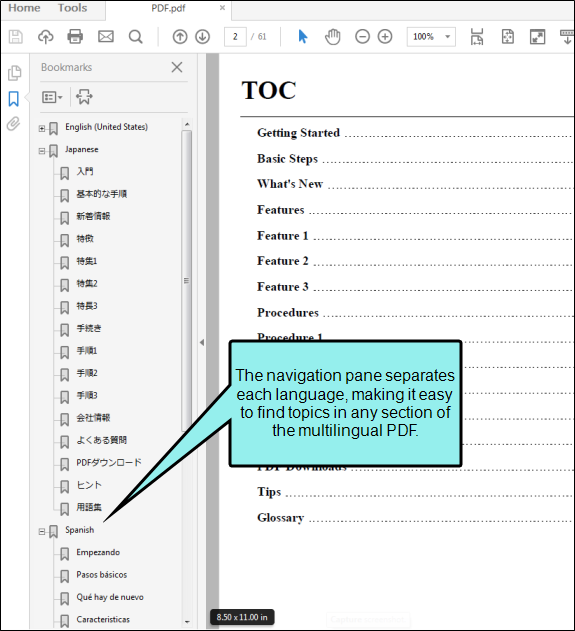 In Flare you open the TOC that you are using to generate the PDF output for your English content. Then you drag and drop the three PDFs to the bottom of that TOC. You don't necessarily need to put the PDFs at the end of the TOC; they can actually be placed anywhere. But we put them at the bottom because we want the final stitched PDF to move in order from English to Arabic to French to Spanish. After generating the final PDF target, the other PDFs are stitched into the output along with the English content. Note: When generating localized HTML Help targets, it is sometimes necessary to set the Windows system locale to match the language that the project is set to. It is necessary to do this when the project contains topic file names with non-English characters. To do this in Windows: 1. Open the Control Panel; 2. select Regional and Language Settings; 3. select the Advanced tab; 4. from the drop-down in the section called Language for non-Unicode programs, choose the same language that the Flare project is set to; 5. restart Windows. Note: If you have inserted MadCap Capture images that contain objects with text, you can auto-size those objects automatically when the output is generated. 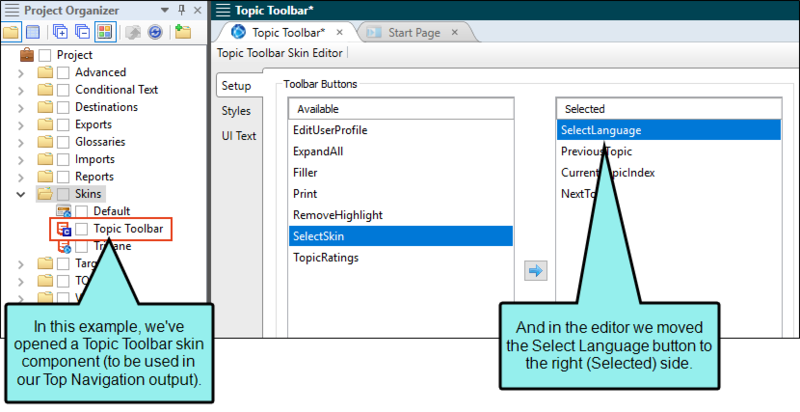 This can be done by selecting an option in the Advanced tab of the Target Editor. The original image file and its associated properties (.props) file remain unchanged. Only the output image is affected. You might use this option in case you accidentally cut off text in your image callouts or if they are translated into another language that requires more characters in the translation. See Auto-sizing Capture Image Objects to Fit Text.